Everyone needs a little touch of greenery in their farmhouse style home! This easy DIY farmhouse wreath is so simple to create to decorate in the farmhouse style. I know how much you guys love easy DIY farmhouse crafts, so today’s project is perfect. This DIY farmhouse wreath is so easy to make, you’ll be shocked. 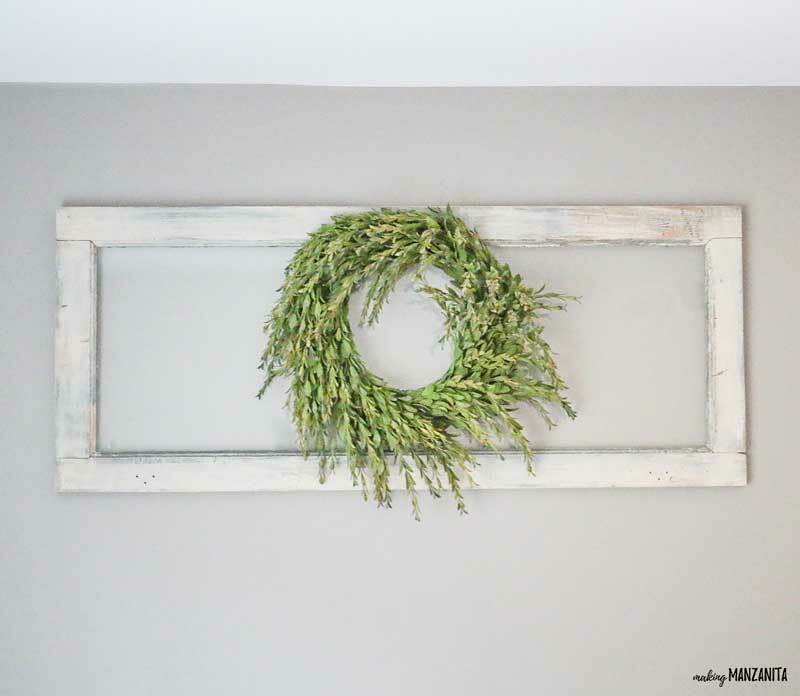 So turn on some Fixer Upper and let’s make this simple farmhouse wreath! 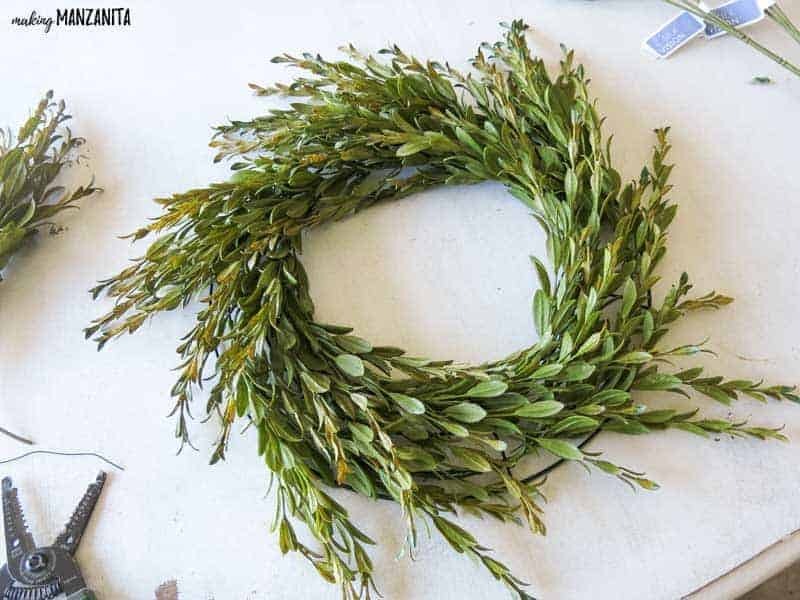 When I made this originally I was planning on making a boxwood wreath, but when I went to the craft store to grab the greenery I saw this and liked the more muted tones and how it looked more natural. 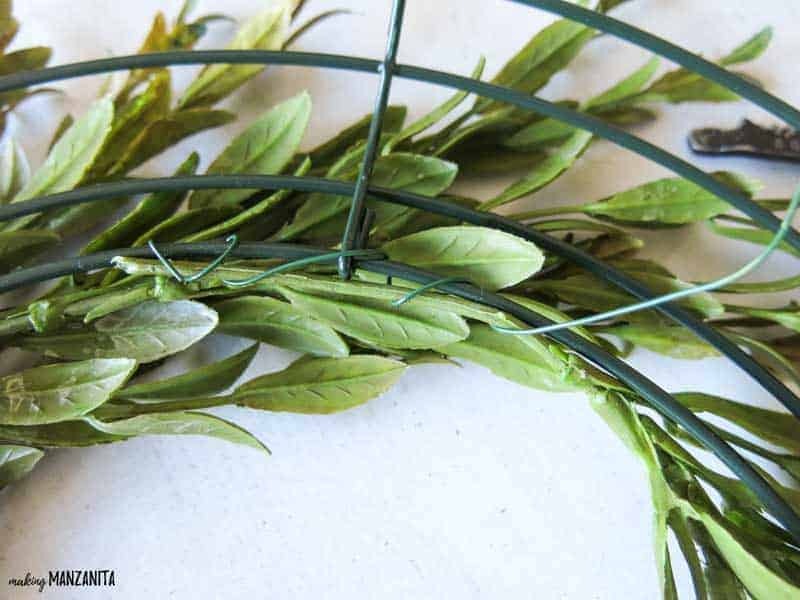 They called this tea leaf and, to be honest, it’s fairly flimsy at the ends so it’s not as easy to secure to the wire wreath form as other greenery may be. Once it is hung up on the wall, it does hang forward a little bit on the pieces that are pointed upwards on one side of the wreath…but it doesn’t bother me much. It’s a bit more natural. 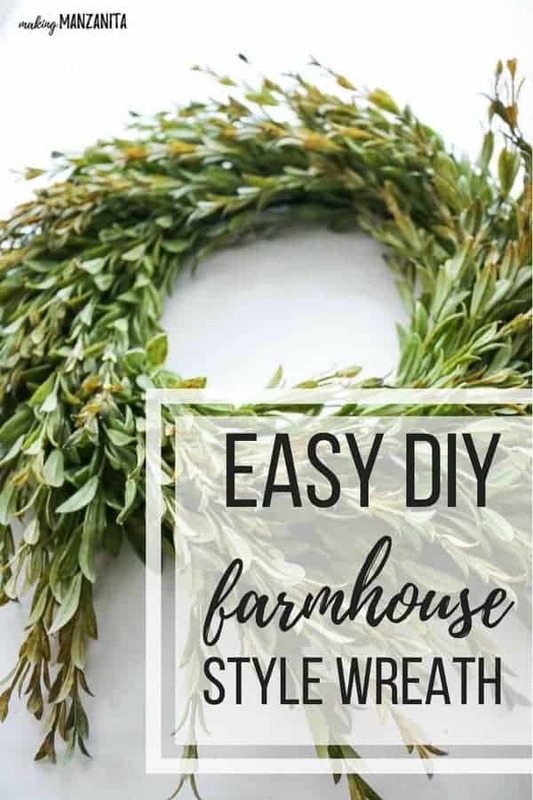 If you are going to want an easy DIY farmhouse wreath that is more fixed, you could use a sturdier greenery. 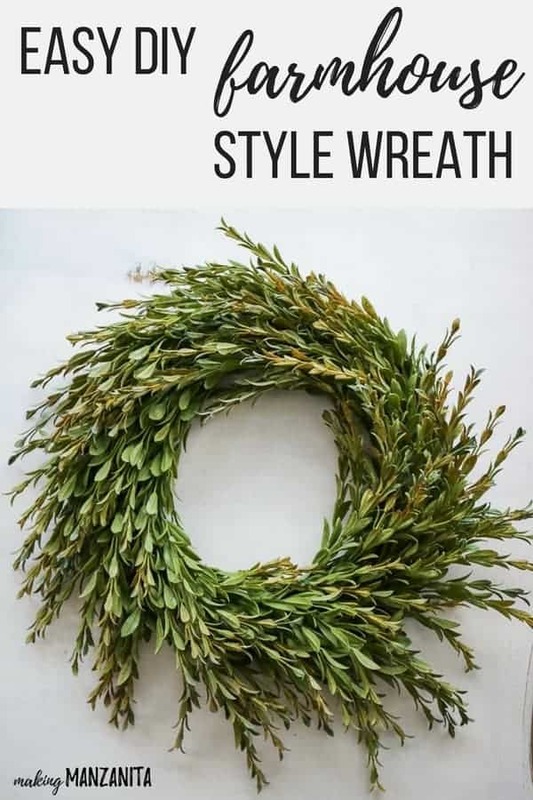 This farmhouse wreath post contains affiliate links, but nothing that I wouldn’t wholeheartedly recommend anyway! Read my full disclosure here. Step 1: Separate greenery bunches. 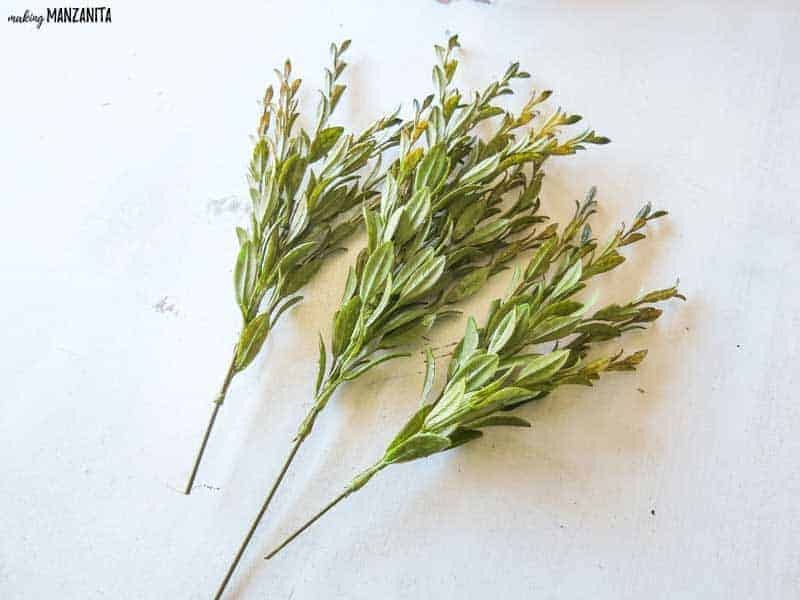 The greenery bunches that I purchased had three distinct pieces that could easily be clipped off using wire cutters. 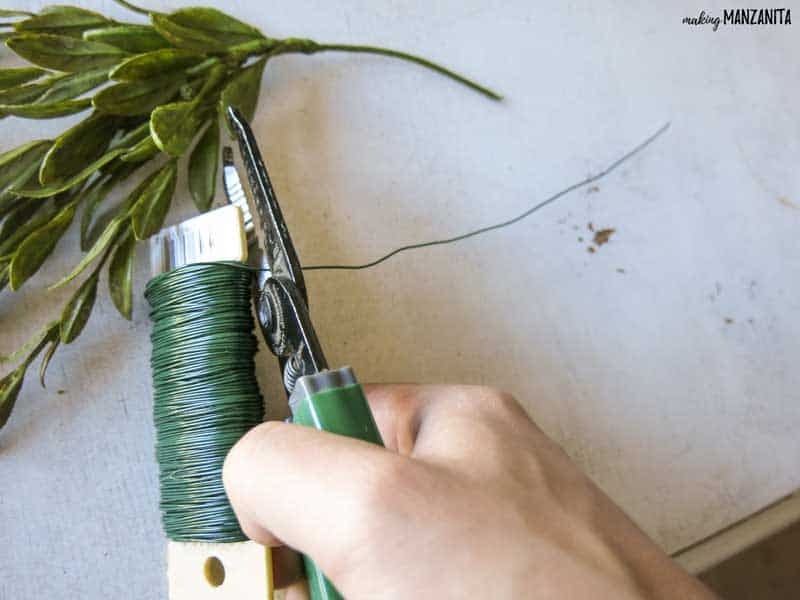 However you separate your greenery bunches, you want to remove the smaller leaves from the larger wire at the bottom of the bunch. The smaller pieces are bunch easier to work with rather than the whole bunch in one piece. Step 2. 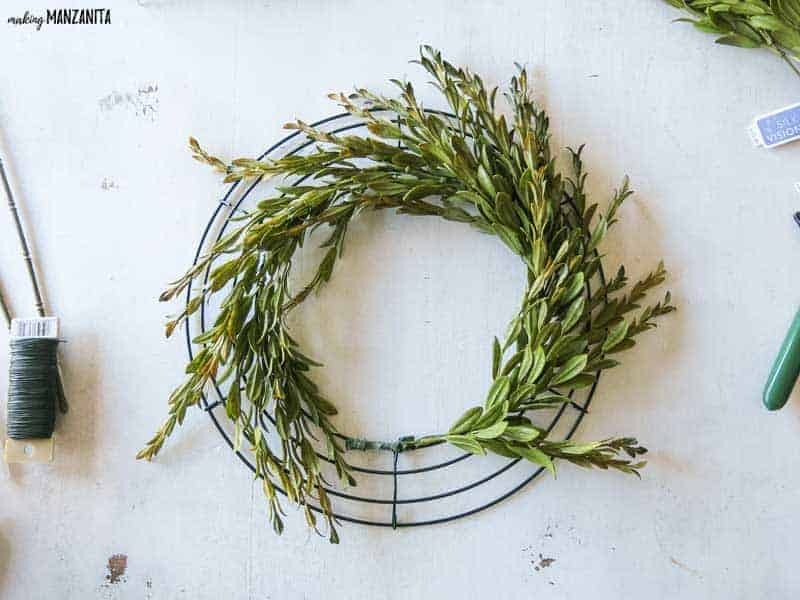 Attach greenery pieces to wreath form. 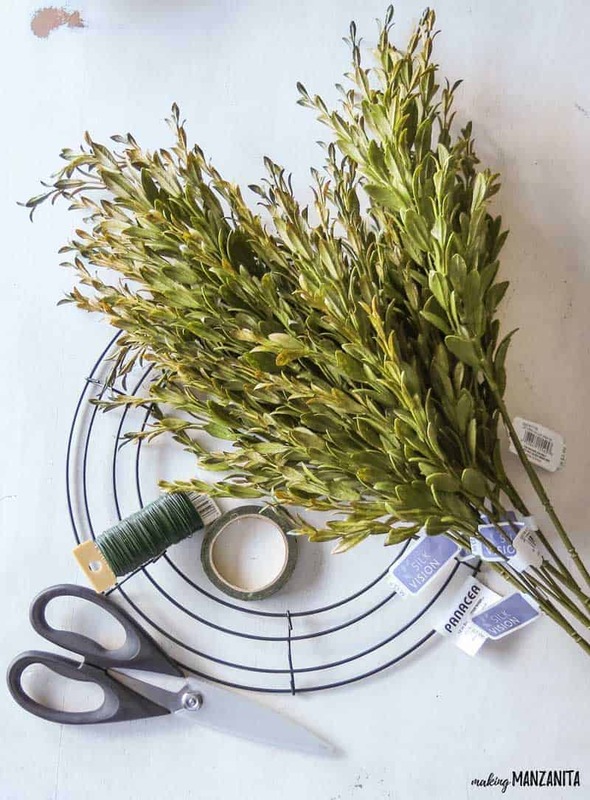 Starting with the inner most ring on the wire wreath form, start attaching the greenery pieces by wrapping floral wire around the metal band. 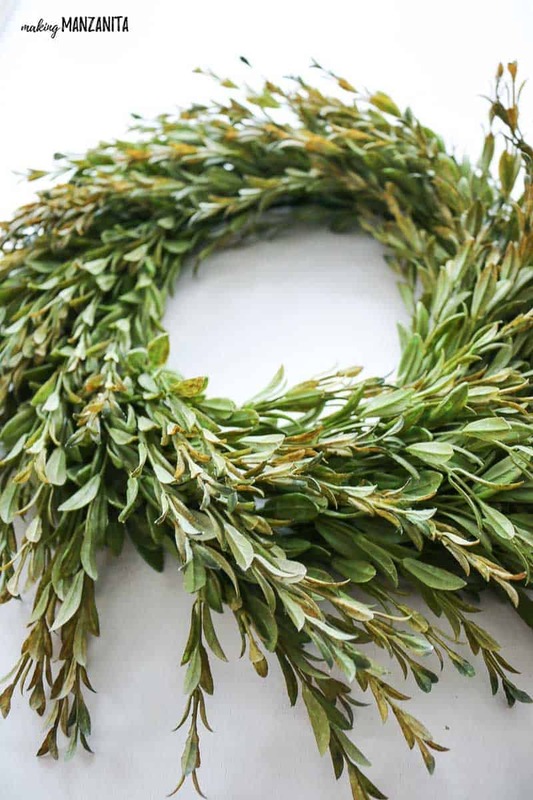 As you add more greenery pieces, keep them all going around the wreath going the same direction. 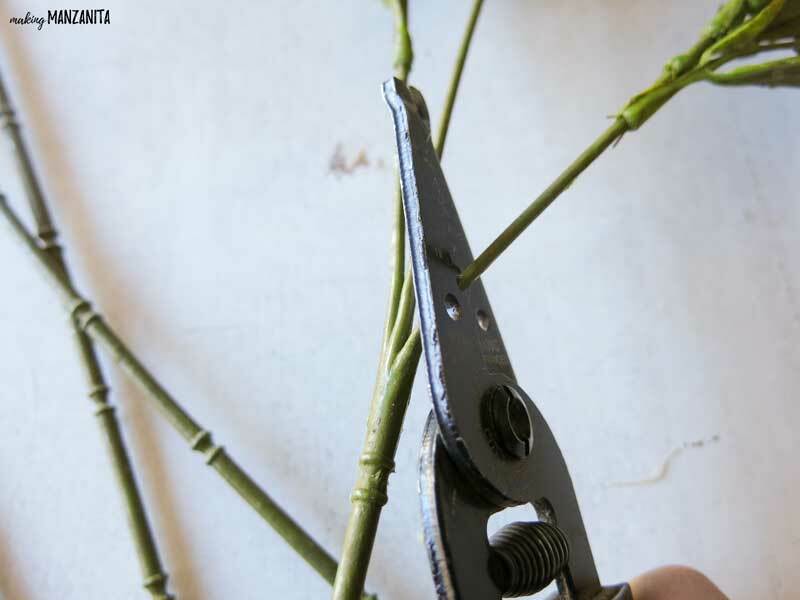 You can overlap the greenery pieces slightly as you attach them to the wire wreath form. Continue step two moving from the inner most ring to the outermost ring until the wreath form is full. I told you this DIY farmhouse wreath was easy to make, didn’t I? I don’t remember the last time I posted a DIY that only had TWO STEPS! Haha. You can choose any greenery bunches you’d like…you know, you could even use real Christmas tree clippings this time of year! No matter what kind of greenery you’re using, the steps to make this farmhouse wreath are the same. You guys are going to love the Christmas twist I put on this wreath & vintage window! Now the burning question is…. Where would you put this easy DIY farmhouse wreath in your home?